A Beautiful Ruckus: We've Made It To 20 Weeks! We've Made It To 20 Weeks! Today is a very exciting day. Today officially marks the 20th week of Becca’s pregnancy. Honestly, I thought she would be on bed rest way before now. I have to stop and thank God for allowing her to make it this far and for keeping her and the babies safe. I thank all of you prayer warriors for praying for her and the babies. It is really amazing the power of prayer. Becca and I still feel so speechless about the kind generosity of our friends over the weekend. Last week was Christmas, the time of year when people choose to gather together to celebrate the birth of Jesus. For some reason, we as a people have chosen to celebrate the birth of Christ by giving presents to our loved ones. People really blessed us with their gift giving this year. Words cannot express how grateful we are to all the friends of Jesus—both known and unknown to us. We are convinced that there are still angels who live among us. We really wish we knew who each of you are who have helped us so tremendously, but since we don’t, all we can say is Thank You. Please keep up the prayers as we head into the new year. There are lots of changes ahead of us! As the New Year quickly approaches (13 hours away!) you continue to be in my prayers! Okay, that article is way off! It said you were the size of a full term pregnant woman; psh! 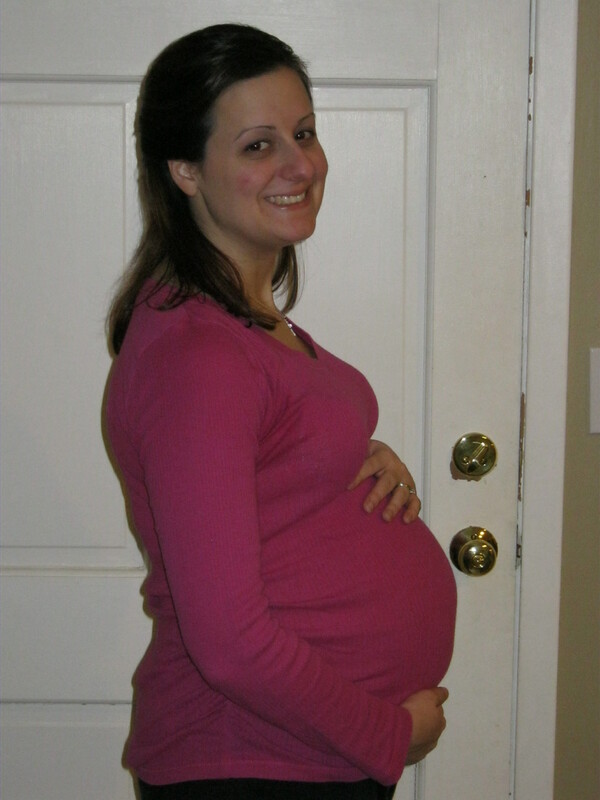 I am 39 weeks, and MUCH huger than you! You look wonderful! I hope things keep going smoothly for you and your babies. That door Becca poses in front of for her pictures just keeps getting smaller and smaller. Keep up the great work great things are coming. Happy New Year!!!!! !